Good morning! Here's this week's sketch, it's a one layer card of sorts. I was inspired by all the banner themes that have been quite trendy for the last year or so. 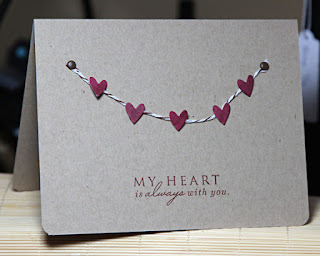 You could choose to stamp directly on your card, or do as I did and attach a string with embellishments. I started with a Kraft base, since I really enjoy that for one layer cards. I also rounded the corners. 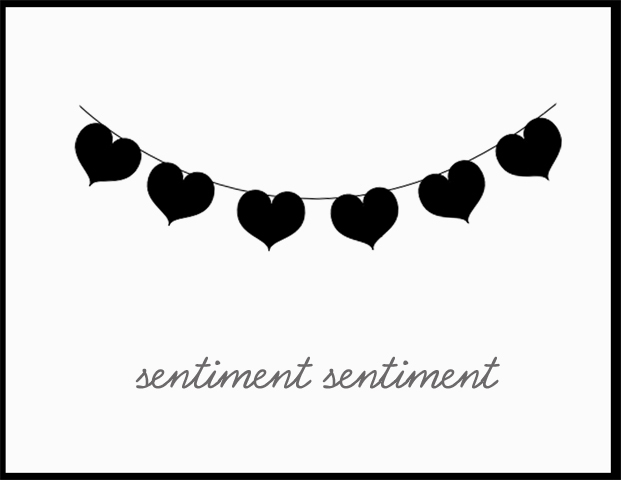 I hadn't originally planned on a specific colour for the hearts. I thought about sponging the colour on, but that seemed a bit messy considering how small they are. 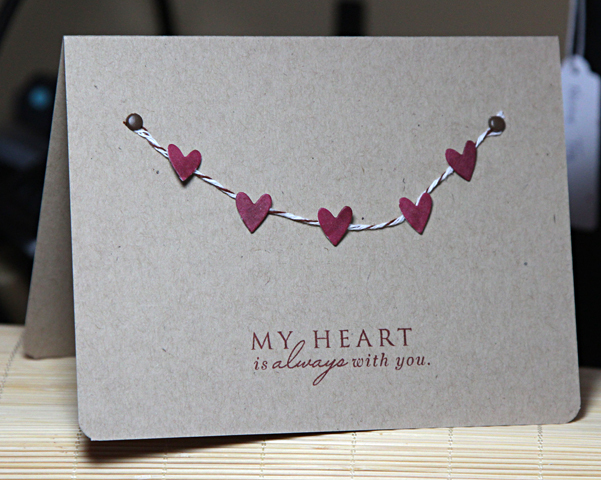 Instead, I used a Copic marker to give the hearts a touch of red. What a beautiful card ! I really love it ! I only got 3 pennants on mine, but I loved the sketch and will use it again I think with some flowers. I thought I had missed the deadline, glad I checked back.